1. Pop the kettle corn according to package. 2. Open almonds and spread them out on a flat tray. 3. In a small microwavable cup, heat white chocolate chips for 30 seconds. Stir vigorously with a fork then keep microwaving and stirring in 15-second intervals. Should take only about a minute total before they're completely melted. 4. Spoon melted chocolate into a piping bag with a #1 tip. 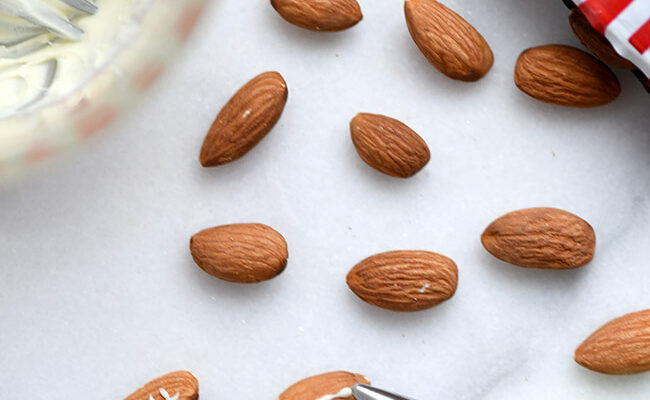 Carefully and quickly draw a line down the middle of each almond then add four tiny stitches across the line. If the white chocolate hardens before you're done, set the piping bag, tip first, into a hot cup of water for about 15 seconds to re-melt. Once all the almonds are decorated, let cool for about 10 minutes or until chocolate has completely hardened. 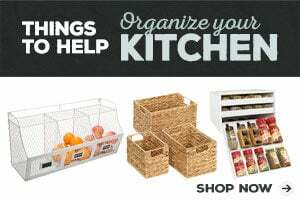 You can pop them in the fridge to speed up the process if you're short on time. 5. 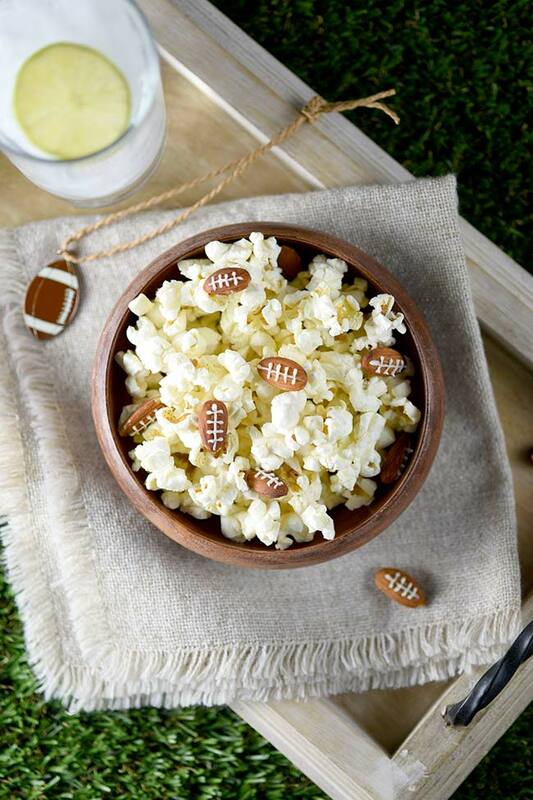 Put the kettle corn in a large bowl (football shaped perhaps?? ), top with the almond footballs and set the bowl out to be enjoyed by all! I remember my dad yelling sportscaster Chris Berman’s catchphrase at the TV while he slowly lifted out of his chair in anticipation of a touchdown. We’re Washington fans and that year—1992—was a big year for us. Especially considering we also have Buffalo fans in the family. We all watched that football game on the edge, and sometimes out of our seats that year. According to the ratings, nearly 80 million people were tuned into the big game that year. That was one-third of all Americans at that time. Love it or not, football is a big deal. Today more than ever. Heck, even if you don’t like football, it’s worth tuning in just for the commercials or having an excuse to get together with friends and have some fun! 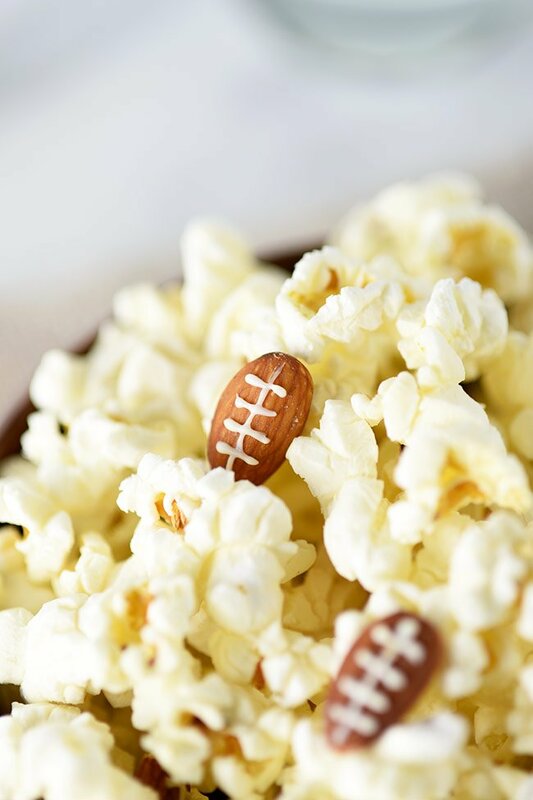 Fun takes all forms and for me, football equals an opportunity for making and munching delicious snacks, appetizers, sweets and slow-cooker creations. From chili to bundt cakes, I’ve been known to make football watching into a food thing. 🙂 I mean, why not? If there’s anything America loves as much as football, it’s food. So we’re talking the best of both worlds here. 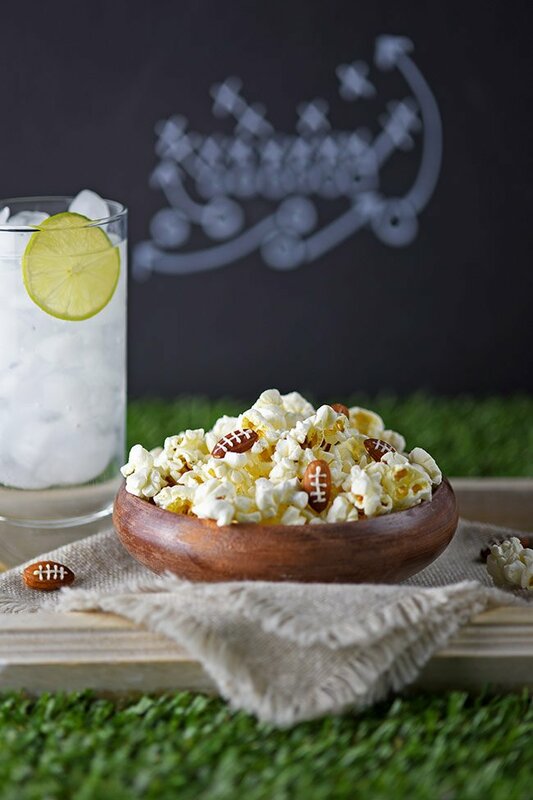 Which leads me to finally telling you about this “recipe” which is really a super easy, delicious and cute snack to add to your football-themed array of appetizers or to munch on as a pre-appetizer snack. Is that a thing? It should be. 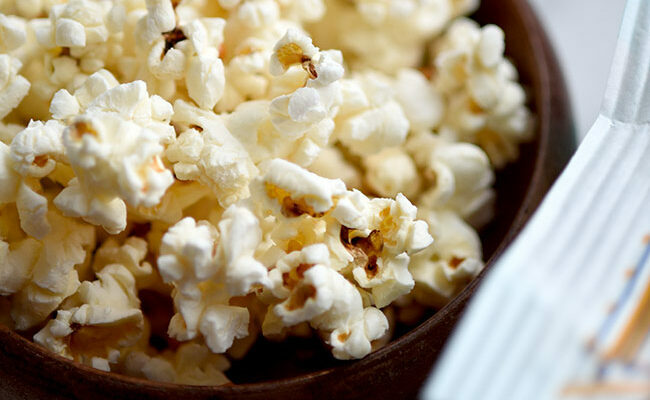 This recipe is essentially kettle corn, you know that salty-sweet popcorn like you get in a giant bag at just about any festival you go to. (I feel like that might just be midwest thing?) Anyway, PLUS almonds… wait for it… decorated to look like tiny footballs!!! Yassssss. Even the manliest of men will adore these little footballs. 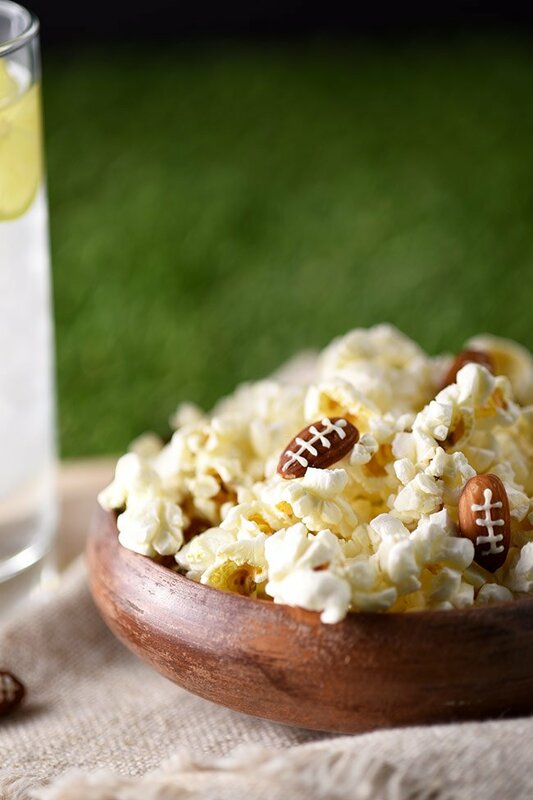 You can’t help but love them and your football-watching party guests will gobble them up so be sure to make enough for everyone. You may want to double or triple the recipe as needed depending on the number of party guests you’ll have over. 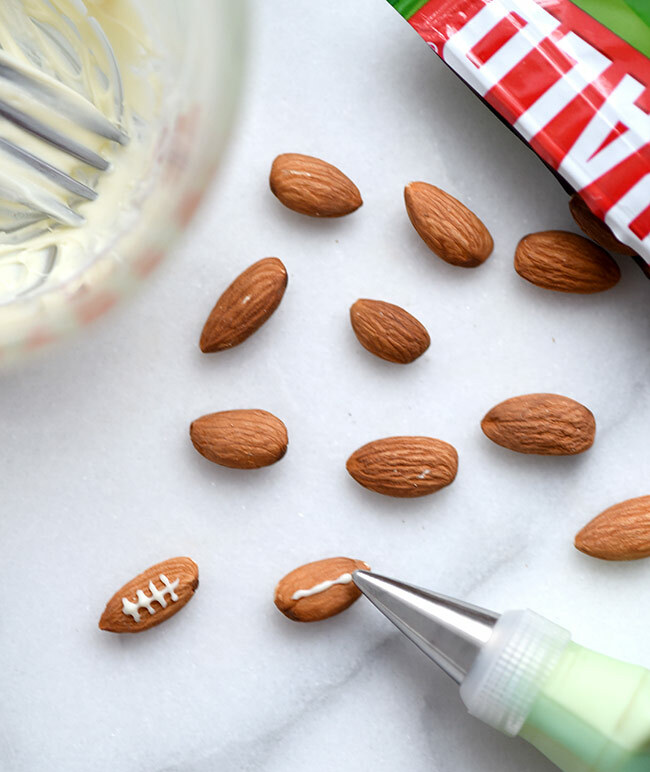 The trickiest part of this whole recipe is icing the little footballs. Before you get nervous, let me just reassure you that I am like Mrs. Shakyhands. Between occasionally too much coffee, early-onset arthritis and my general anxieties, I had every excuse for why this wasn’t going to go well. And then look. I did it. You can do it too! Word to the wise though: do not try to use cookie icing, or any kind of icing. It doesn’t work. Had a few failed attempts there, so just trust. What you want to use is melted white chocolate in a piping bag with a teeny-tiny icing tip (size #1 to be exact). The white chocolate tastes great with the almonds and compliments the flavor of the kettle corn nicely. It’s a match made in heaven, really. 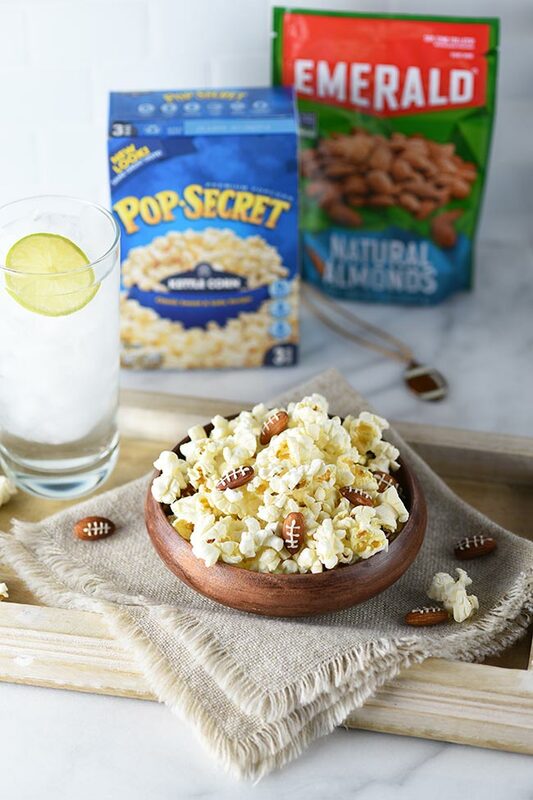 The rest of it’s all super easy because you just use Emerald® Almonds and Pop Secret® Popcorn (be sure to get the Kettle Corn flavor) which you can find at almost any grocery store. 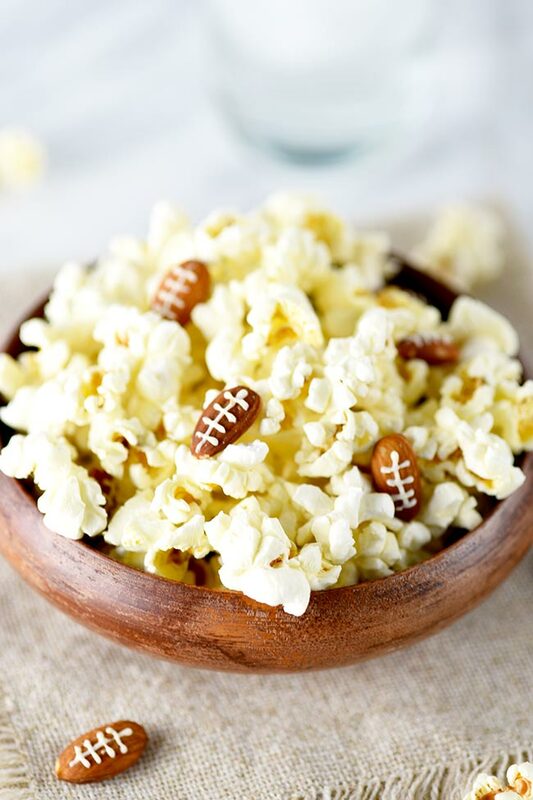 More simple and delicious football themed snack ideas, look here! 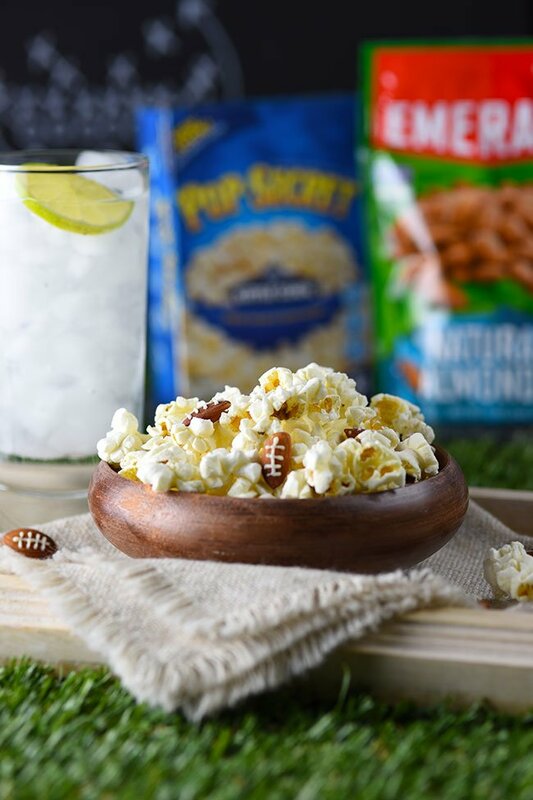 This kettle corn with football almonds snack was featured on Merry Monday and South Your Mouth!